Embry Drive is one of the streets in the Harrow postal district of Middlesex. Stanmore is a place in the London Borough of Harrow, in London, England. It is a suburban development situated 11 miles northwest of Charing Cross. 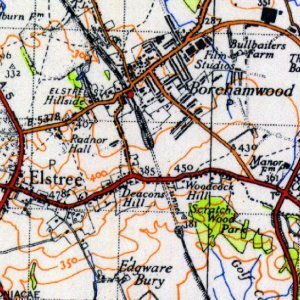 The area was recorded in the Domesday Book as Stanmere, the name deriving from the Old English stan, ’stony’ and mere, ’a pool’. There are outcrops of gravel on the clay soil here and the mere may have been one of the ponds which still exist. 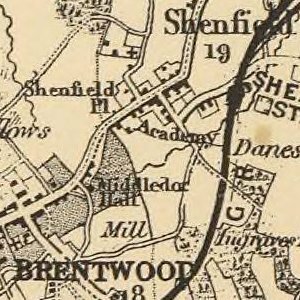 By 1574 the area had become known as Stanmore the Great to distinguish it from Little Stanmore. 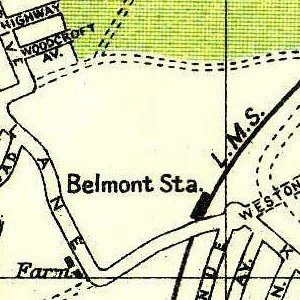 Stanmore Village station was open for train services between 1890 and 1952. 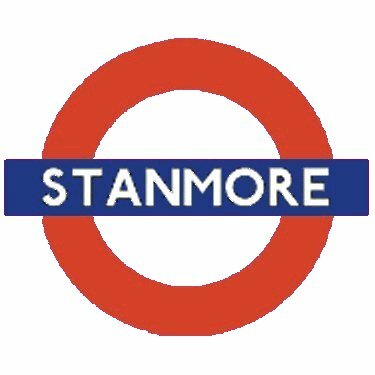 Stanmore station opened in 1932. The suburb is characterised by numerous small restaurants and caf?s, several public houses, and a handful of boutique-style clothing stores. The centre of Stanmore is dominated by the presence of a large Sainsburys supermarket. Stanmore’s extensive residential areas are leafy and predominantly affluent, with many residents commuting daily to jobs in central London and the City. Stanmore is home to Stanmore College (a government further education establishment) and a local library. The suburb also hosts the Royal National Orthopaedic Hospital - known as RNOH - which is famed for its spinal unit. Stanmore tube station is the northernmost station on the Jubilee Line. The station was opened on 10 December 1932 on a branch of the Metropolitan Line. This branch was transferred to the Bakerloo Line in 1939 and again to the Jubilee Line in 1979. Unusually for an above ground station, the ticket office is not in the entrance hall but downstairs at platform level, although a large bay area now containing rarely used public telephones once held the booking hall. The now disused branch of the L.M.S. Harrow to Stanmore railway.